For those who seek warmth from the punishing Montreal winter through tunes, look no further than Sheer Agony’s latest release, Masterpiece. The Montreal-based band provides a respite from the weather and a foil for the standard music scene of Montreal. Sheer Agony is a modern-day recreation of the 60s and 70s-era pop rock, replete with the sounds of The Kinks, The Soft Boys, and Elvis Costello. Frontman Jackson MacIntosh saturates the jangly guitar riffs and psychedelic synth rhythms with intellectually off-kilter ramblings, roaming from topics such as dating too many actresses (“Careers”) to the allure of a gin & tonic and drinking culture (“Fizzical Lime”). The songs are mostly two or three minutes, bouncing one after the other without pausing to take a breath. 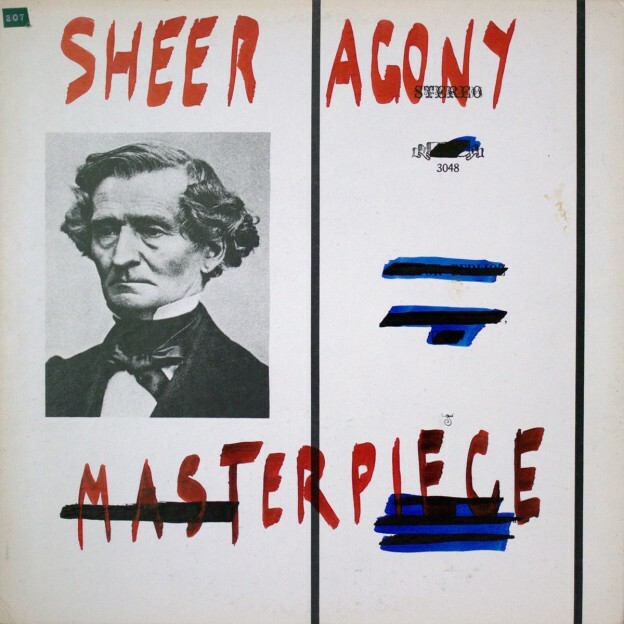 Masterpiece begins with the jaunty “Anthony Ivy,” in which the singer has a lurid love affair with the titular character; the kooky, darker lyrics contrast with the bouncy instrumentals. Both “I Have A Dream” and “Tip of the Tail” echo the style of Costello, with almost Todd Rundgren-esque harmonies in the chorus of “I Have A Dream.” “Debonaires,” the album’s longest song at almost five minutes, discusses being in the company of wealthy and influential friends who live extravagant lives. The slow, pensive build-up in the beginning of the song reflects MacIntosh’s introspective lyrics, and the musical interlude showcases a wonderful integration of layered guitar work. Masterpiece has a vintage quality to it that creates a timeless atmosphere, transporting the listener to the eccentric world inside MacIntosh’s mind through jangly 60’s guitar and psychedelic accents. Sheer Agony has fully embraced being the Montreal darlings of vintage pop rock, a title they rightfully deserve. Their approach and dedication to the craft is refreshing, a warm and whimsical getaway from the doldrums of everyday life. Album released: October 15, 2015. This entry was posted in Reviews and tagged album review, Masterpiece, Montreal artists, sheer agony on January 25, 2016 by Juliana Van Amsterdam. Very well written review Ms. Van Amsterdam. Quite insightful.Willl check it out.